Zona Aletha (Chronister) Mumford, 85, of Duncan, Oklahoma passed away from this life peacefully on Thursday morning, January 24, 2019 at her home in Duncan, Oklahoma. After a long battle with cancer, she is now pain free. Funeral services will be held at 10:00am Wednesday, January 30, 2019 at Eastside Church of Christ with Ron Stough officiating. Interment will follow at 2:00pm at Mt. Olivet Cemetery in Pauls Valley, Oklahoma. Services are under the direction of Don Grantham Funeral Home. Zona was born on August 6, 1933, in Wynnewood, Oklahoma to George D. and Ruby (Pike) Chronister. 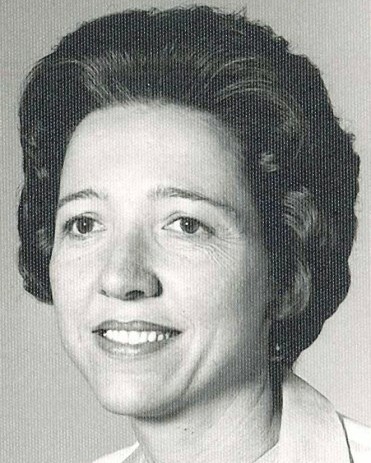 The sixth of seven children, she attended Pauls Valley Public Schools, graduating with honors from Pauls Valley High School in 1951. She received academic scholarships to attend Oklahoma A&M (Oklahoma State University). It was in high school that she would meet and marry the only man she ever kissed, Bill Mumford, so more formal education was put on hold. Zona and Bill would marry on December 15, 1950, and their love story would last 56 years and 10 days, until his death on December 26, 2006. She would later refocus on her formal education, and would receive an Associates Degree from Western Oklahoma State in Altus, Oklahoma. Most of her professional career she was an office bookkeeper. As a young adult, wife and mother, Zona became a member of the Church of Christ and the remainder of her days would be spent as a devout follower of Jesus. She loved reading her bible on a daily basis, teaching Sunday School for over 50 years, being a camp counselor at Lu-Jo-Kismif, and doing all she could to lead others to Christ. Zona was an excellent seamstress, and a avid naturalist. She loved being outside, "digging in the dirt" or mowing the yard. In her later years, we had to hide the power tools from her! She loved flowers, especially bluebonnets, tulips and African violets. She loved working with pottery, and had her own ceramic shop in Davis, prior to moving to Duncan. She was a life-long learner and reader, and raised two educators. After her "retirement, she and her husband, established the business "Touch of Class," and it was during these years they traveled extensively to Educational Conferences, marketing the books of children's authors, such as Jerry Pallotta, Brod Bagert, Gary Dulaubaum and Billy Martin. She loved introducing teachers and students to the joy of reading books; these men became part of "Mama Zs" life and heart. An avid follower of the University of Oklahoma's football team, she attended countless games and Bowl games following those Boomer boys! If not at the games, she was cheering loudly at home. She wore many hats: great friend, loving sister, devoted prayer warrior, true friend, Aunt "Toni" to her nieces and nephews, precious "Nanna", beloved mother, and adored and cherished wife. She was preceded in death by the "love of her life", Bill Mumford on December 26, 2006; her parents, two sisters, and four brothers. Survivors include her daughter, Cathy Barker, of the home, one son Kenny and his wife Oteka Mumford of Davis, Oklahoma; a daughter, Dona and her husband David Banks of Alma, Arkansas; four granddaughters: Rochelle McDonalds of Pauls Valley, Rachel, Sara, and Emily Banks of Alma, Arkansas; five great grandchildren; Madison and her husband Mark Pickering, Jamezen and Kennedy McDonald all of Davis, Gunner and Hunter Wells of Pauls Valley; two great great grandchildren: Jaxson and Haven Pickering of Davis; and her sister in law, Mrs. Louise and her husband Tommy Mumford of Fox, Oklahoma as well as several beloved nieces and nephews. Pallbearers will be members of the family. Honorary pallbearers will be Dr. Thomas Crow of Duncan, Brod Bagert of New Orleans, and Jerry Pallotta of Boston. In lieu of flowers the family asks that donations be made to the Duncan Public School Foundation.